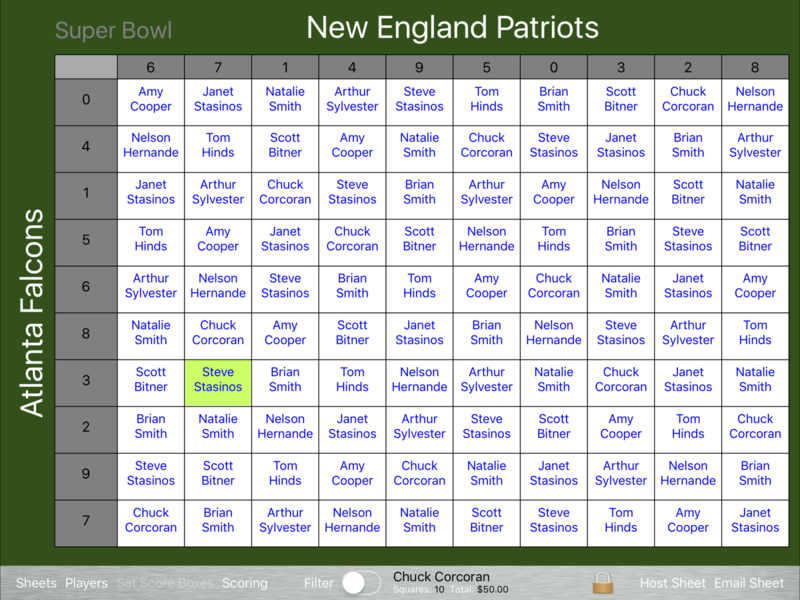 Get ready to run your football squares for the Super Bowl with Football Squares Pro! You can purchase online hosting of your sheet to allow quick and easy selection for your players. Simply purchase hosting using In-App purchase and email players within the app the custom link. 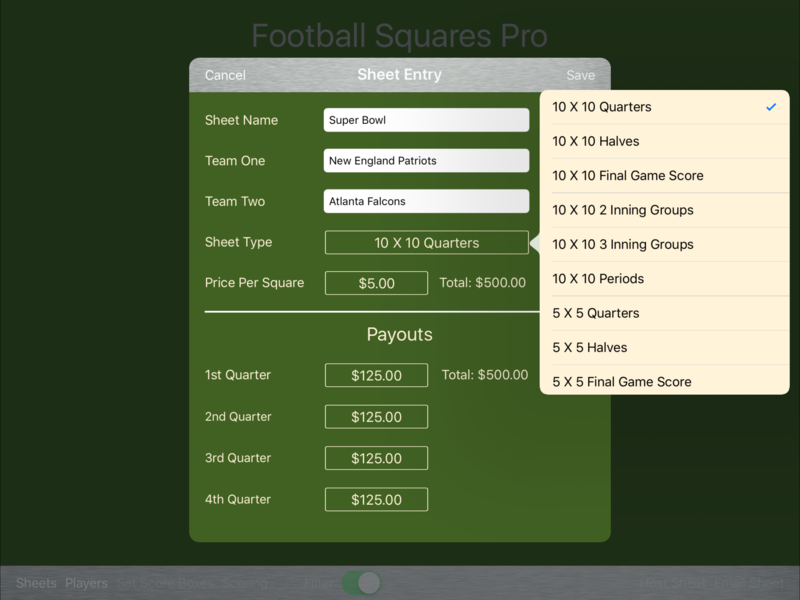 Football Squares Pro allows you to setup squares of 10 X 10 or even 5 X 5. 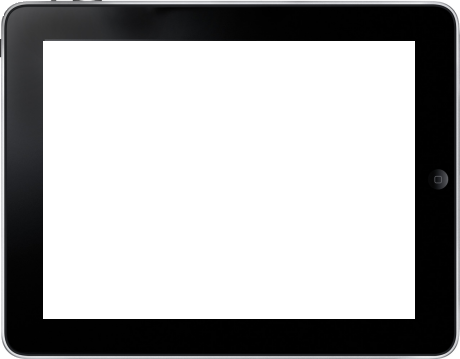 You can setup your score number for the whole game or random for each quarter. 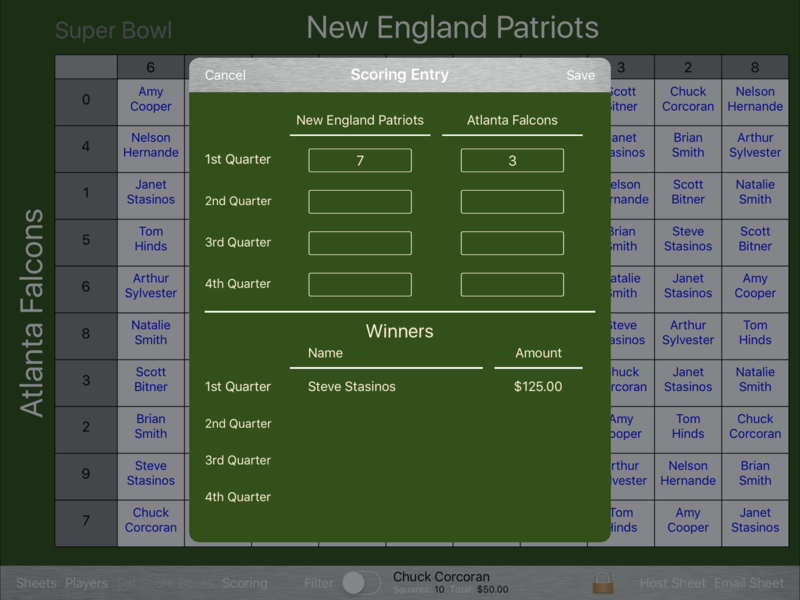 Football Squares Pro can present your squares right on your TV using AirPlay devices like an AppleTV or use a video cable. 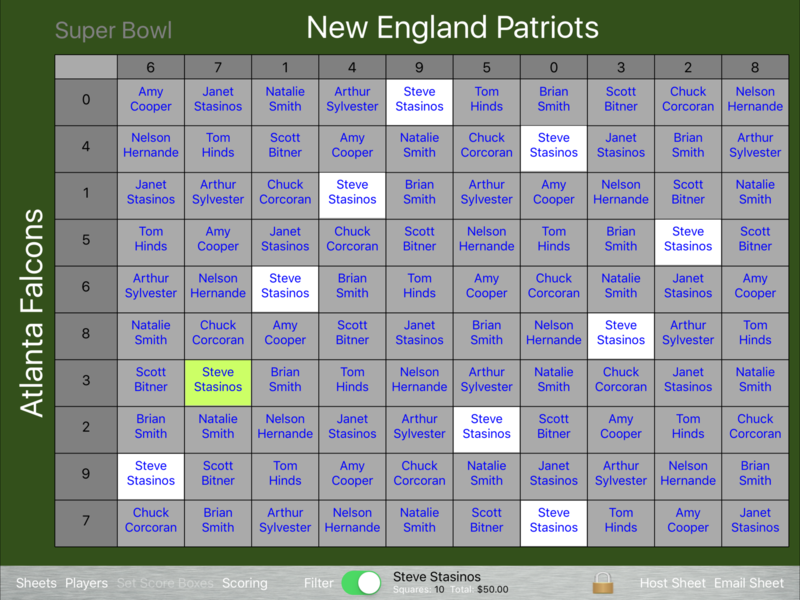 When the scoring is done for the quarter, simply enter in the score and Football Squares Pro will tell you who won. 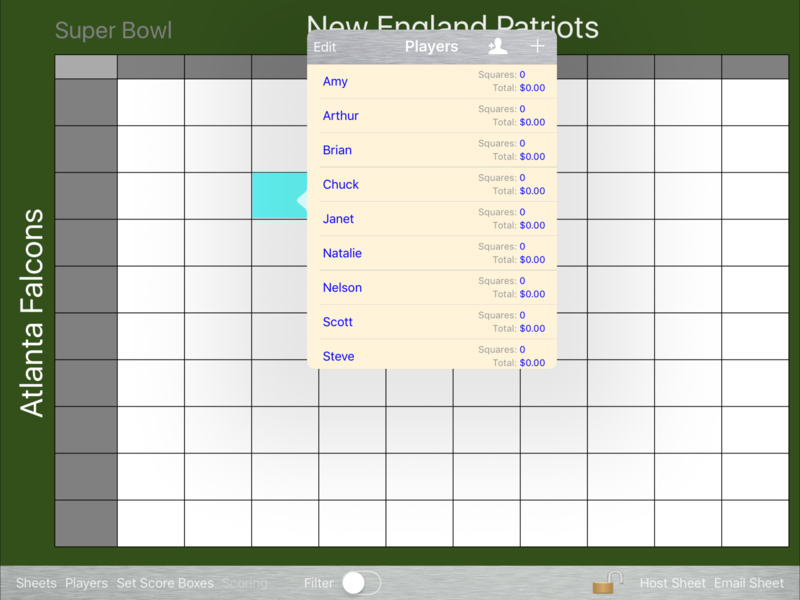 You have the ability to email the sheet at any time before, during, or after the game. Draft Sheet is a stand-alone iPhone application that allows you to manage your fantasy football draft sheets and player rankings.